Ask any person on the street to name a European luxury AWD car and chances are they'll say "Audi". BMW, Mercedes and Volvo all make fine AWD cars, but Audi is synonymous with AWD. 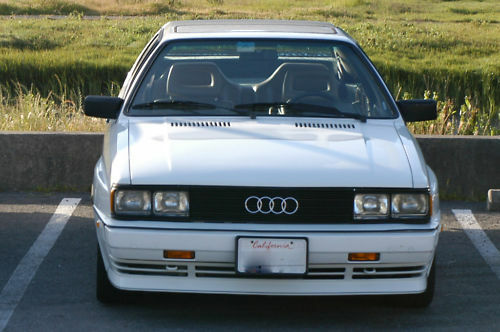 Audi introduced the Quattro to the European market in 1980 and to North America in 1983. 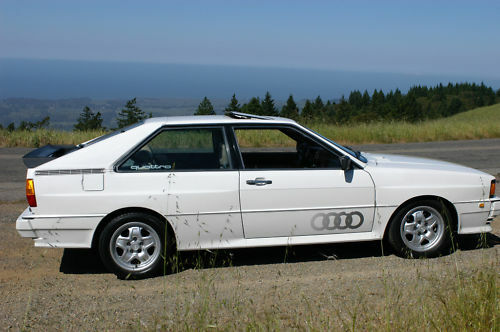 In it's day, this car was simply known as the Quattro. When Audi started using the the quattro name - with a lower case "q" - to refer to its AWD system, fans of the Quattro car - upper case "Q" - began to refer to this car as the Ur-Quattro. "Ur" roughly meaning "original" in German. 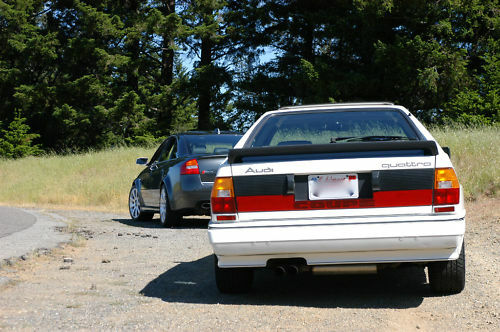 From 1980 through 1991, Audi built just over 11,000 Ur-Quattros in total. Just 61 came to the US in 1983, making this one a very rare car. It has just 14,000 miles on it. The seller has maintained it well, putting $5,000.00 worth of work into it over the past few years. This car also has a performance chip in it, which may bring the performance up to European levels. (The turbo I5 in put out 197 HP in Europe, but just 160 in North America.) The seats have a bit of wear (call it "patina") and there is a spec of rust on the a pillar, but overall this is a very, very, nice Ur-Quattro. Prices for Ur-Quattros have been steadily climbing over the past decade or so. It will be interesting to see how much this one, in this condition and with low miles, goes for. Located in San Francisco, CA, click here to see the eBay listing.